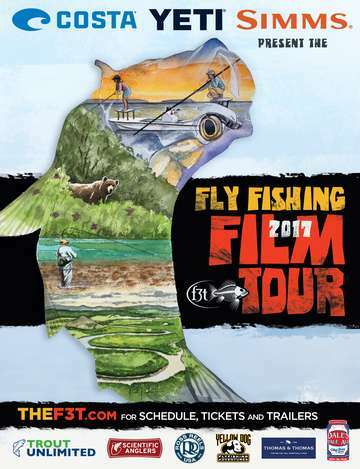 Come and enjoy the Fly Fishing Film Tour 2017 in Santa Fe, NM. The Event will benefit the Truchas Chapter of Trout Unlimited. Doors Open at 5:00pm and show starts at 6:00pm. Come out early for a a chance to meet up with old fishing buddies and share stories about the fishing this summer and plan for your Fall getaways - Great Prizes and giveaways at the show! NOTE: Tickets for this showing will ONLY be available through the theater and at the door for $15. Tickets Available in advance at the Jean Cocteau Cinema and at the door.